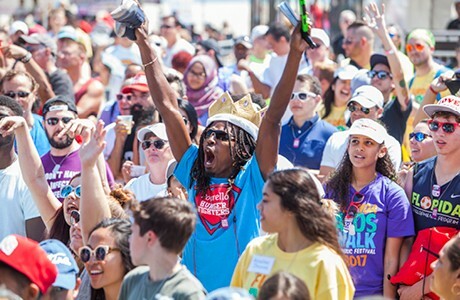 This year, the Florida AIDS Walk & Music Festival moves to Saturday! We will all come together on March 23rd at South Beach Park along Fort Lauderdale Beach. Join your community for fun in the sun, tents in the sand, food trucks, local vendors and an epic concert! You can register for $25 online here. It takes all of us to end AIDS. So come together with your community to help save lives.